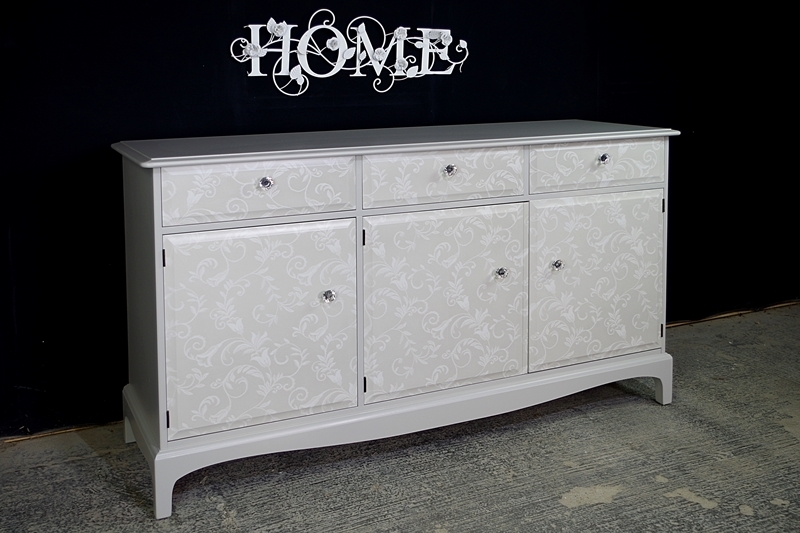 Stag sideboard - three doors with three drawers over. 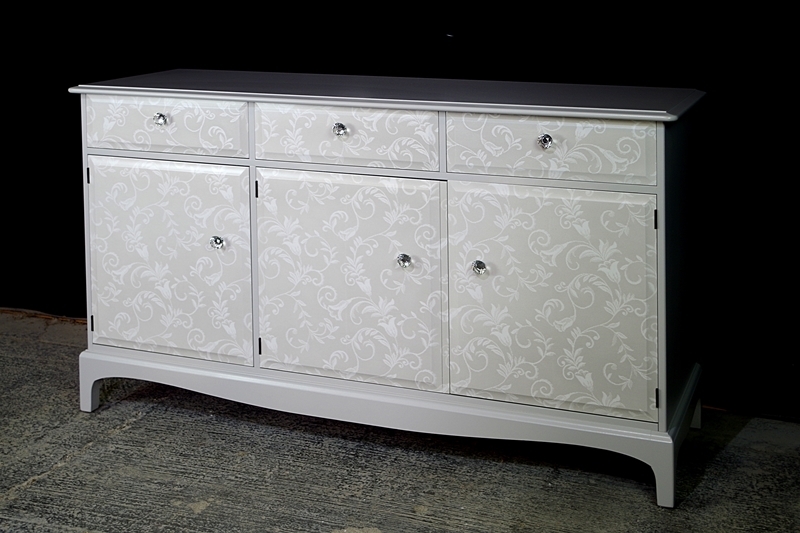 Multi-coat paint finish with lace effect on drawer and door fronts. 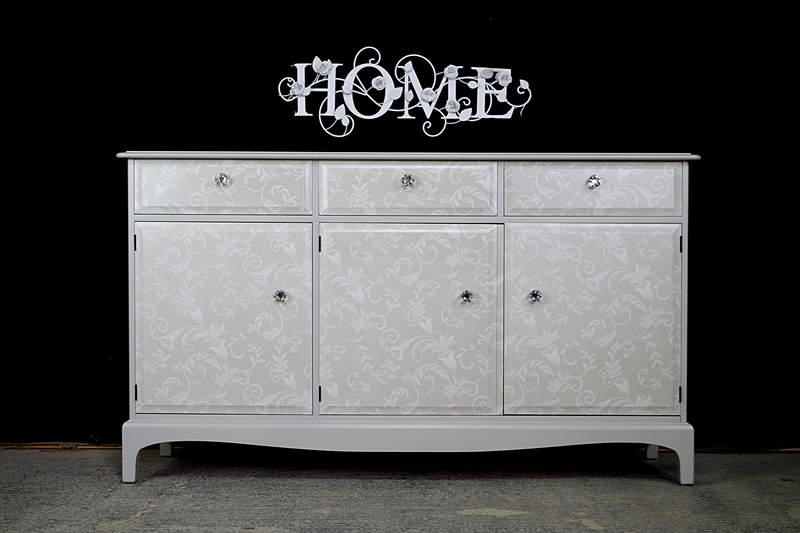 We added new crystal knobs.